Legendary game designer and Civilization co-creator Sid Meier is a bit like Tom Clancy these days. His name's on a whole bunch of stuff, but the level of involvement he actually has with each project, even Civilization games, varies. There appears to be little doubt how much of a hand he's had in this latest project, though. 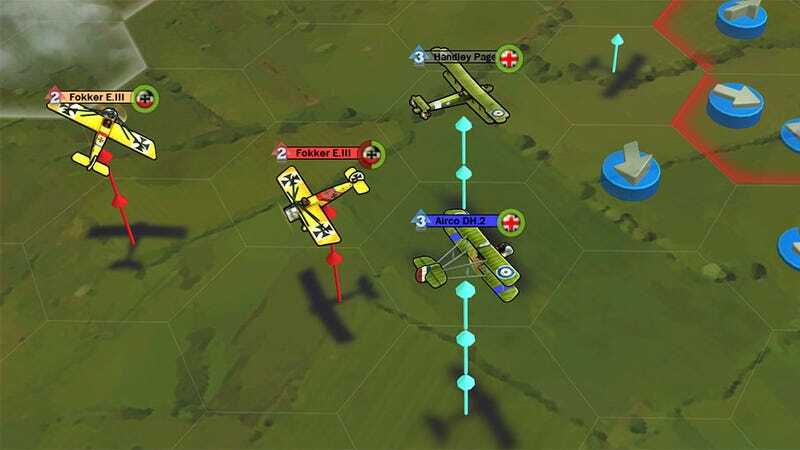 iOS air combat strategy game Sid Meier's Ace Patrol has, according to publishers 2K, been "conceived, designed and programmed by the legendary game designer himself". It appears to be a digital tribute to the excellent Wings of War tabletop game, albeit with more personality and emphasis on characters (with stuff like XP and levelling). It'll be out on iOS on May 9.